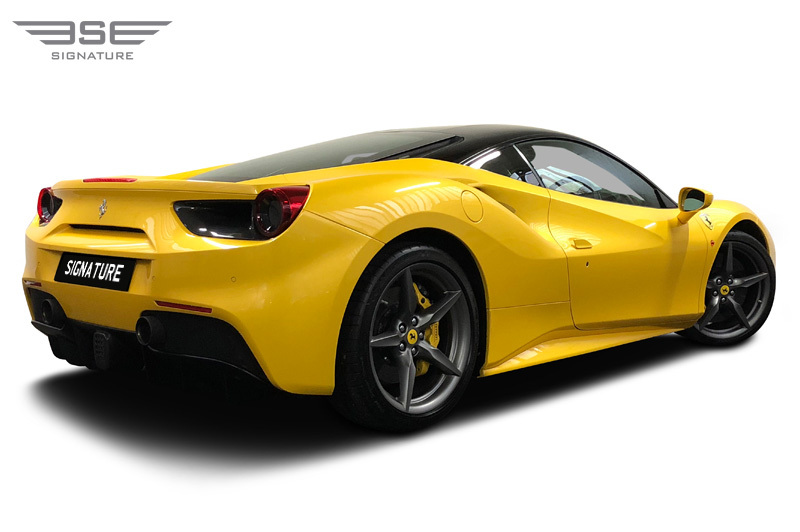 If you are looking for a performance driven car hire experience then choose our stunning yellow Ferrari 488 GTB. 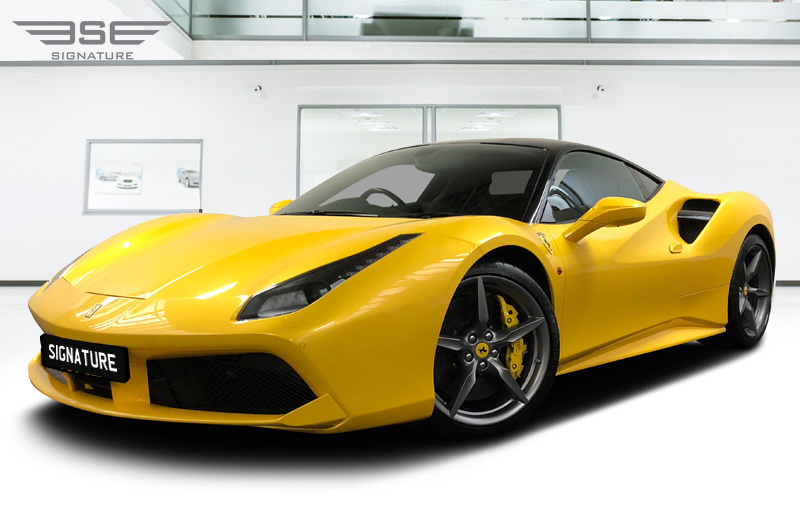 The 488 in the car's name indicates the engine's power displacement, and the GTB stands for Gran Turismo Berlinetta. This rental car delivers unrivalled power and performance as well as offering unprecedented levels of comfort and controllability for drivers not used to performance sports cars. 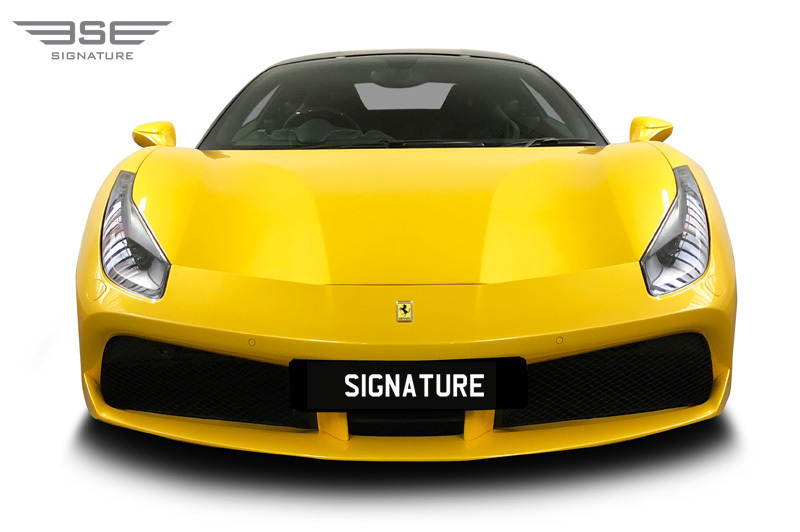 This model is an ideal supercar hire rental choice! 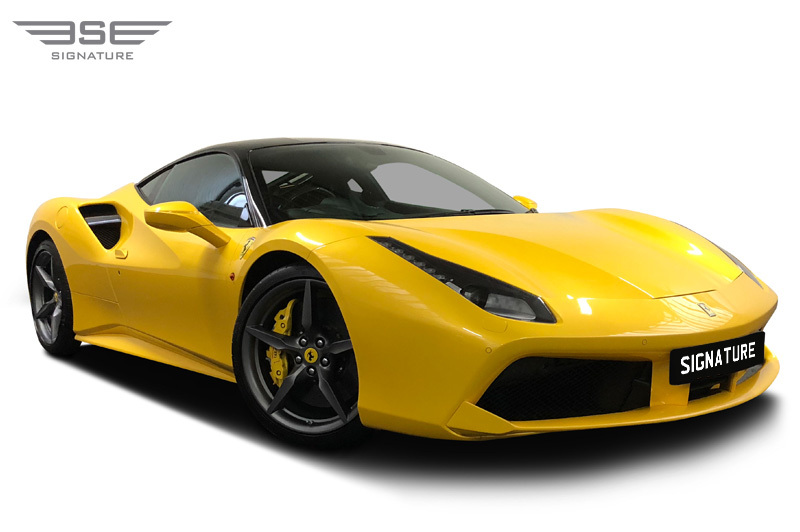 The body of the Ferrari 488 is beautifully designed and has been sculptured in Ferrari's factory studio to either reduce drag or to create downforce. This results in a car that not only looks stunning but has form that follows function. 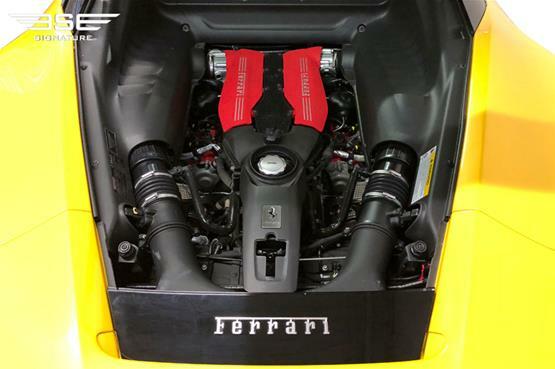 The 488 GTB's overall performance is impressive. The V8 Twin Turbocharged engine produces 661bhp feeding through a Getrag seven-speed dual-clutch automatic gearbox which produces a 0-60 mph time of just 3 seconds with a top speed of 205 mph. As the roof slopes away toward the rear a clear window shows of the mid placed engine in all its Ferrari glory. 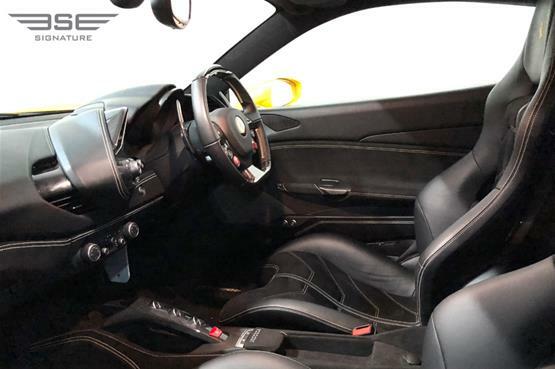 Step into the pilot style sports seat and you will discover an interior that is beautifully designed with trademark Ferrari bravado created with fine materials and finished luxuriously. On the steering wheel, for ease of location by hand, are driving mode adjustment, start/stop button, indicator, wipers and main beam levers, and behind the wheel sit two infotainment pods, one to either side. There is also Bluetooth connectivity and sat-nav included on this model. Despite this being a real supercar the boot at the front is still generous in size. 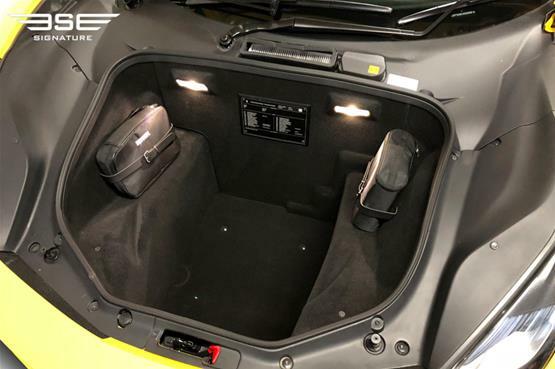 There is also access to a glovebox, door cubbies and cup-holders make the 488 a practical Grand Tourer suitable for any car hire rental. Buying a Ferrari 488 would set you back well in excess of £200,000, not to mention cost of maintenance and depreciation, which makes renting a Ferrari a much more appealing option. 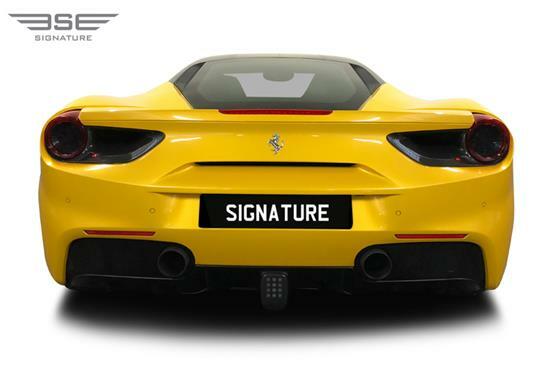 Rent this Ferrari 488 GTB with Signature Car Hire and benefit from our great customer service too. Call us now on 0207 118 2244. 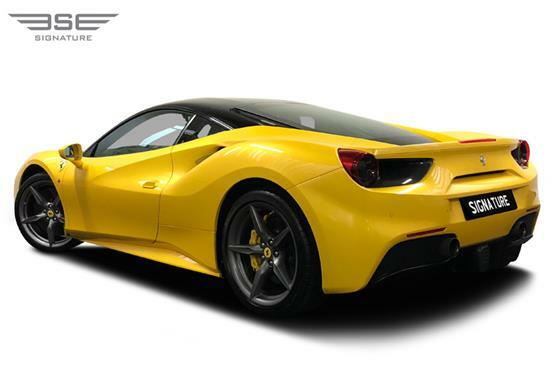 The Ferrari 488 is a mid-engined sports car produced by the infamous Italian sports car manufacturer Ferrari, introduced in 2015 to replace the previous 458. The car is an update to the 458 with notable exterior and performance changes. The car is powered by a 3.9-litre twin-turbocharged V8 engine which is smaller in displacement and higher in output than the 458's naturally aspirated engine. The 488 GTB was named "The Supercar of the Year 2015" by Car Magazine Top Gear, as well as becoming Motor Trend's 2017 "Best Driver's Car". 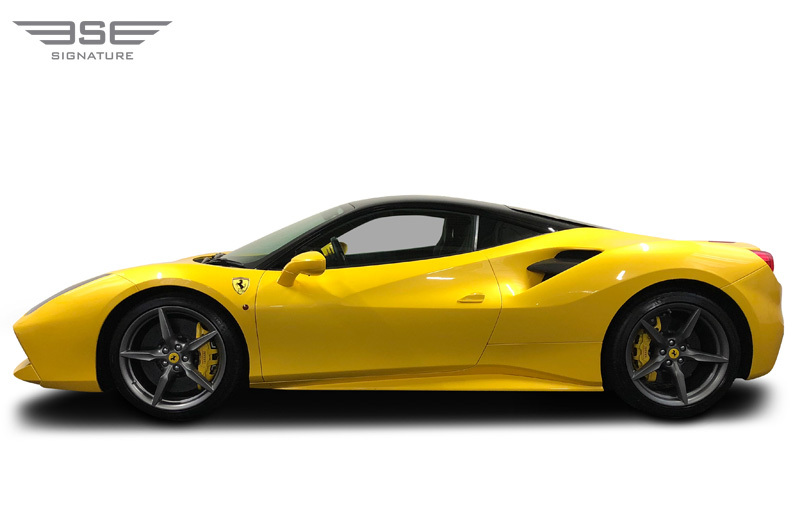 The body of the 488 has been designed to increase downforce by 50% over the 458 while reducing aerodynamic drag. A new front double splitter serves two functions, one to increase radiator cooling by forcing air into them and second to channel the air over the underbody vortex generators to create ground effect without adding unwanted drag. 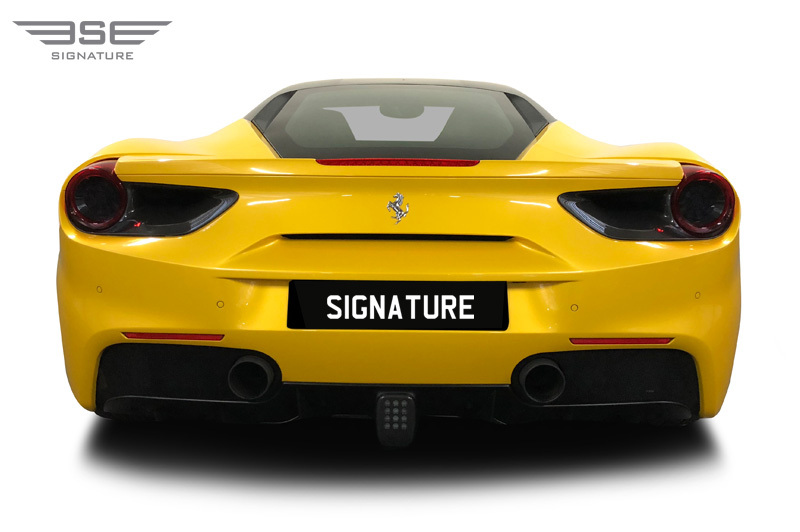 A newly designed blown rear spoiler is integrated into the rear decklid and bumper which increases downforce without requiring a raised wing. The central "Aero Pillar" deflects air under the flat body of the car while two vents in the bonnet provide an exit for air from the dual intakes of the front bumper, further reducing air pressure over the front of the car. The scalloped side air intakes are a homage to those found on the 308 GTB and are divided by a central partition. Air entering the top intake is partially directed into the turbocharger compressor intake, while the rest is directed through the rear of the car and exits alongside the rear lights, increasing air pressure behind the car in order to reduce aerodynamic drag. Airflow entering the lower intake is directed towards the intercoolers in order to cool the intake charge. 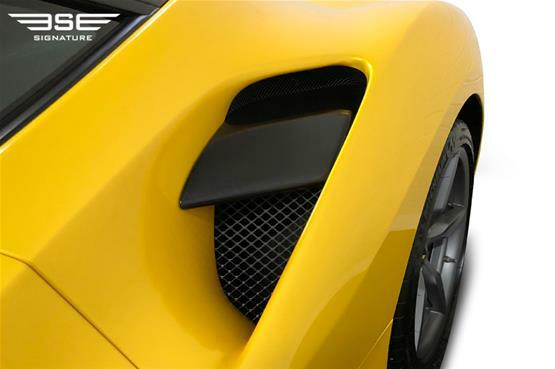 Even the door handles - dubbed 'shark fins' - are shaped in a way which improves airflow by cleaning and funnelling air into the large intakes above the rear wheels.